At the risk of adding even more confusion we’re going to talk about ceramides. Ceramides are lipids (oils) found naturally in skin and are essential in supporting the skin barrier and retaining moisture. (Think of the skin cells as the bricks and ceramide as the cement. 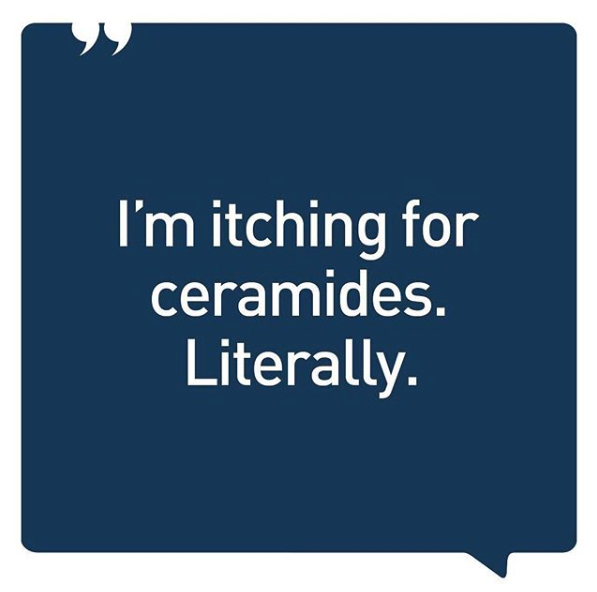 Without ceramides, skin can become dry, itchy, or irritated. CeraVe is America’s best selling affordable skincare brand and all products in the range contain ceramide. 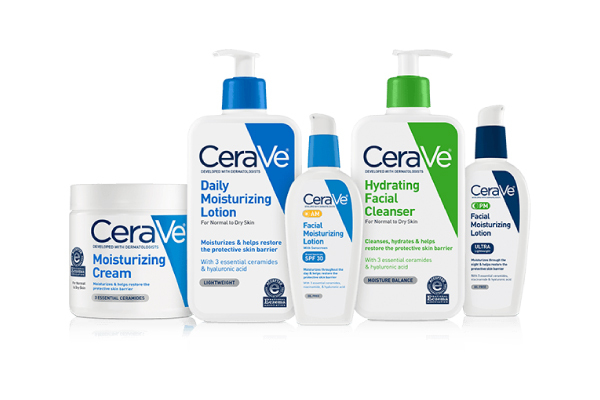 Developed by dermatologists, CeraVe is affordable and skin changing. CeraVe contains the three essential ceramides healthy skin needs – this unique combination of 3 essential ceramides (ceramides 1, 3, 6-II) help to replenish skin’s existing ceramides, relieving dry skin, by reducing moisture loss, increasing hydration, and restoring the skin barrier. 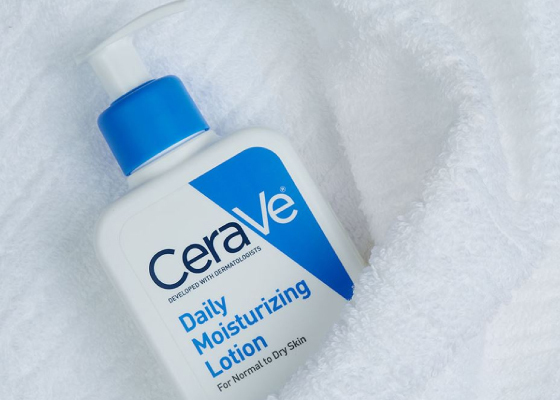 Don’t let the clinical packaging and affordable price-tag fool you – (50ml Moisturising Cream is just €4.50) – there is a lot of love for CeraVe.